To get you prepared for brisk strolls, pumpkin picking and other such autumnal activities, we'd like to present you with this, our Fall Boot Encyclopedia. It includes every type of boot you could need over the next few months, plus a few pairs that you definitely don't need but might just want. 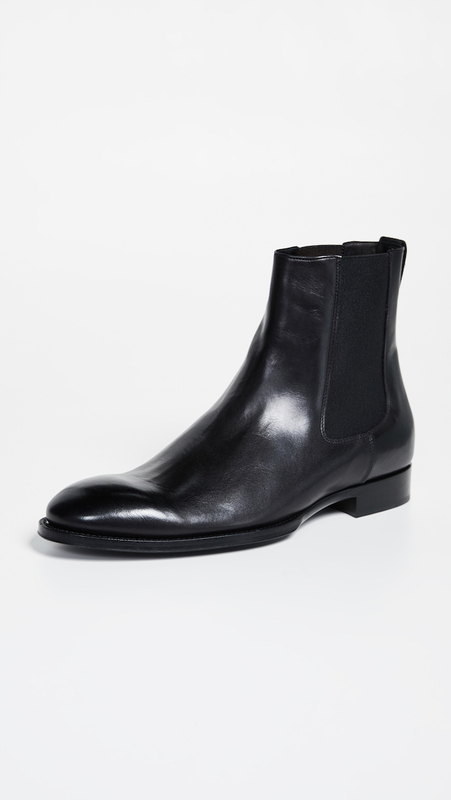 Our pick: Joyce Chelsea Boots from Mr. Paul Smith (yes, they're British), $595. When to wear them: On a first date to that after-work cocktail spot you tirelessly searched for on websites like this one. 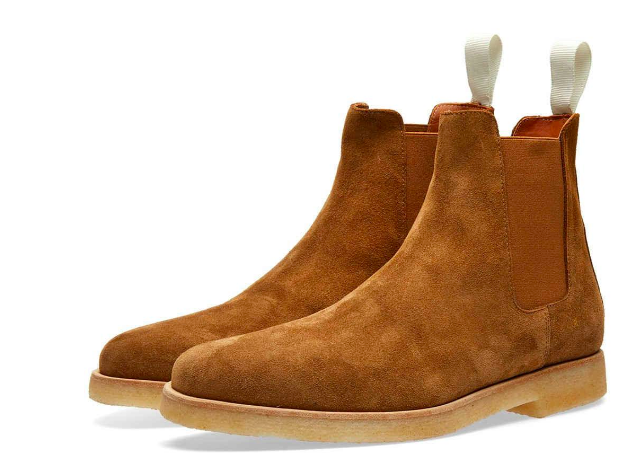 Our pick: Common Projects, $529. 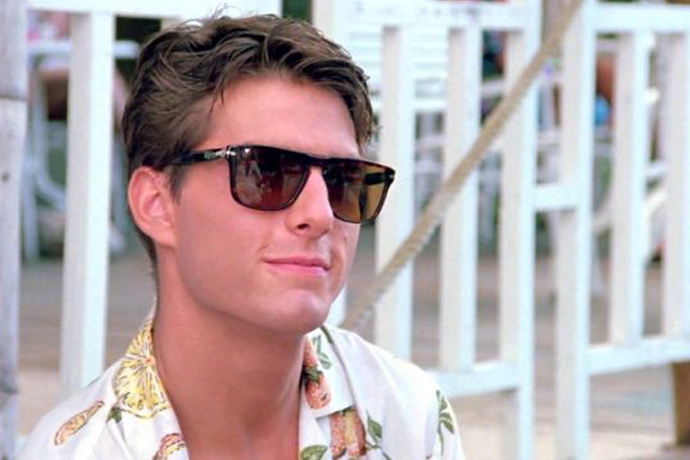 When to wear them: With a pair of tapered jeans on the way to brunch one cool Saturday morning. 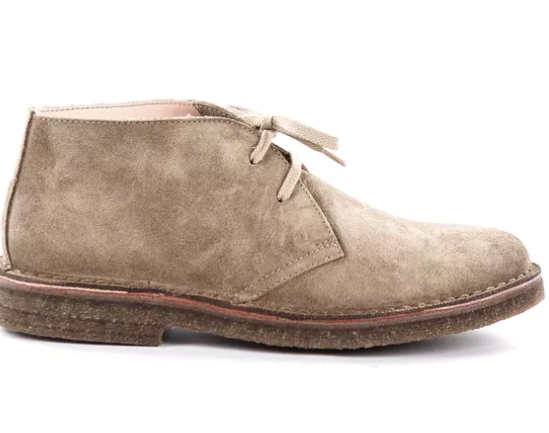 Our pick: The Astorflex, handmade in Northern Italy with aged European leather, $145. When to wear them: On the airport en route home for Thanksgiving. Or on the airport en route to your friend's bachelor party. One of the two. 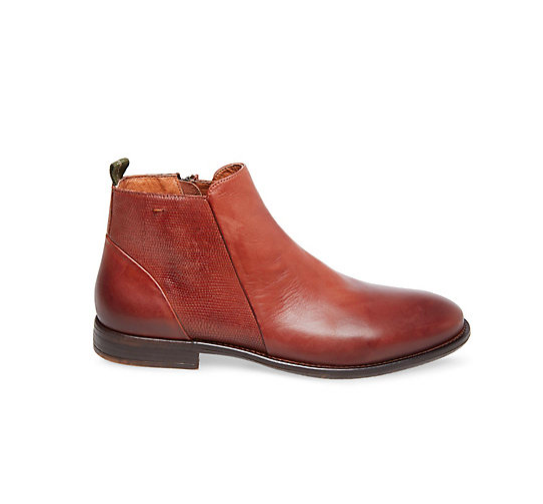 Our pick: Natural vibram sole cap-toe trench boot from Oak Street Bootmakers, $426. When to wear them: The October tailgate that inevitably breaks out into a semi-competitive game of touch football. 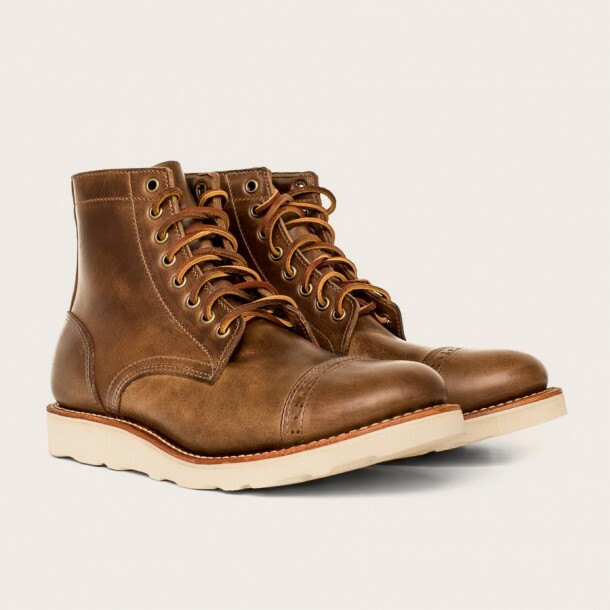 Our pick: The new Red Wing x Todd Snyder, $380. 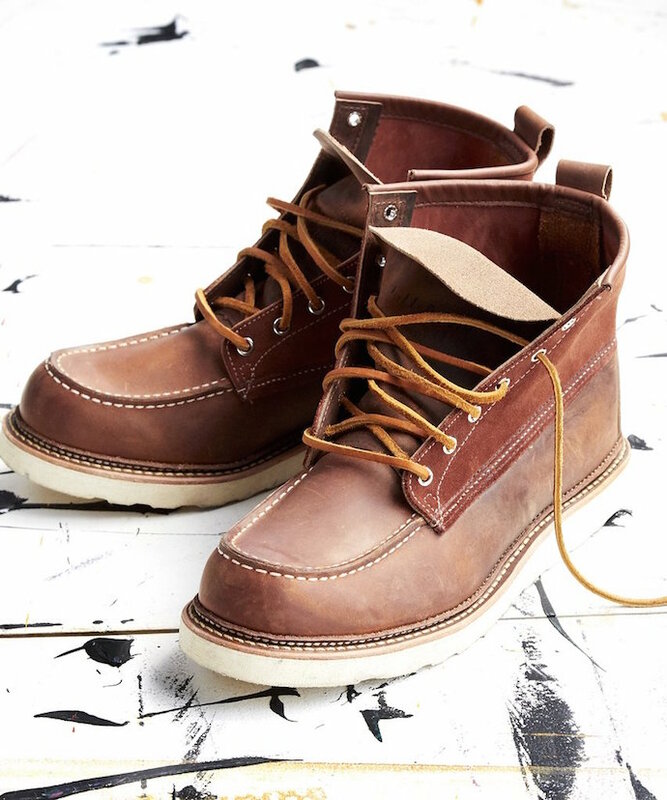 When to wear them: As classic work boots, these should be good for any and all apple and pumpkin-picking situations. Our pick: Malcolm 2.0 from John Fluevog, $319. When to wear them: Somewhere dark, dirty, loud and full of alcohol and bad decisions. 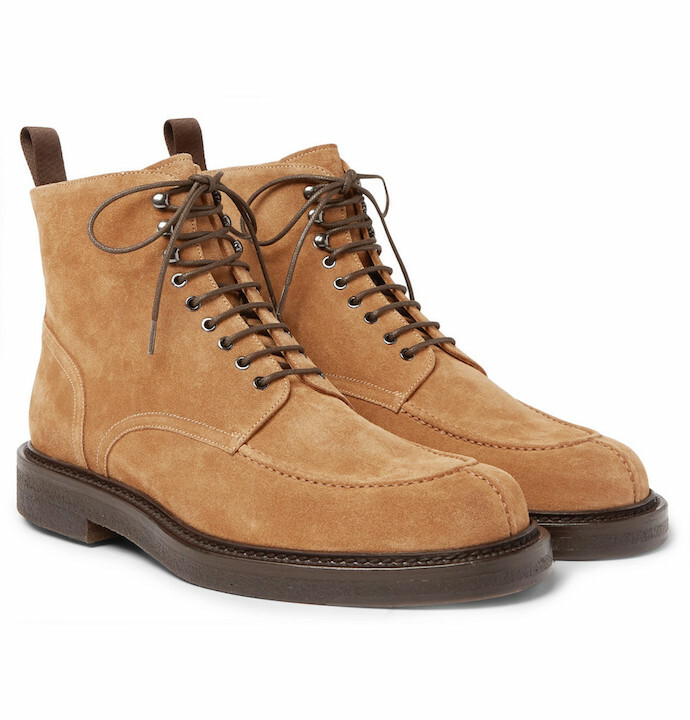 Our pick: Jacques Suede Boots from Mr. P, $550. When to wear them: Call us crazy, but maybe...to actually go hiking? 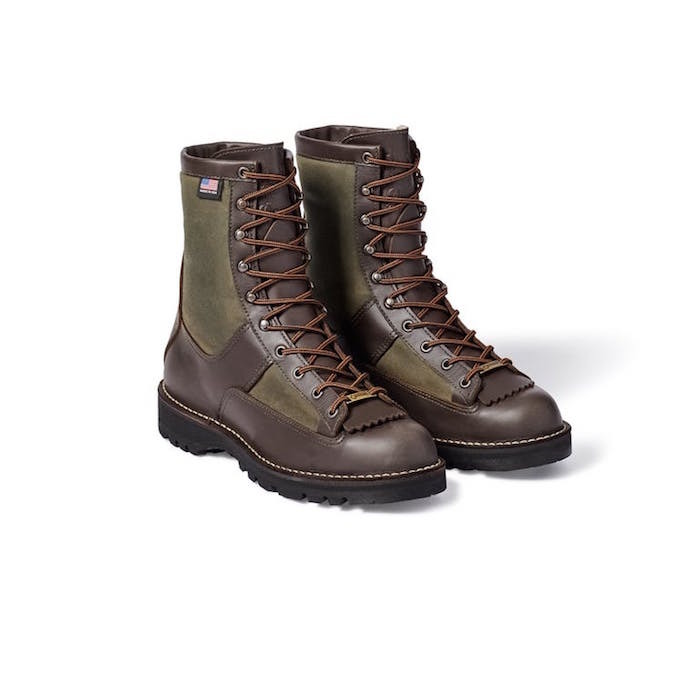 Our pick: Filson x Danner Grouse, $390. When to wear them: Hunting. But more likely: rain, snow, sleet, or that gross slushy mixture of the three. 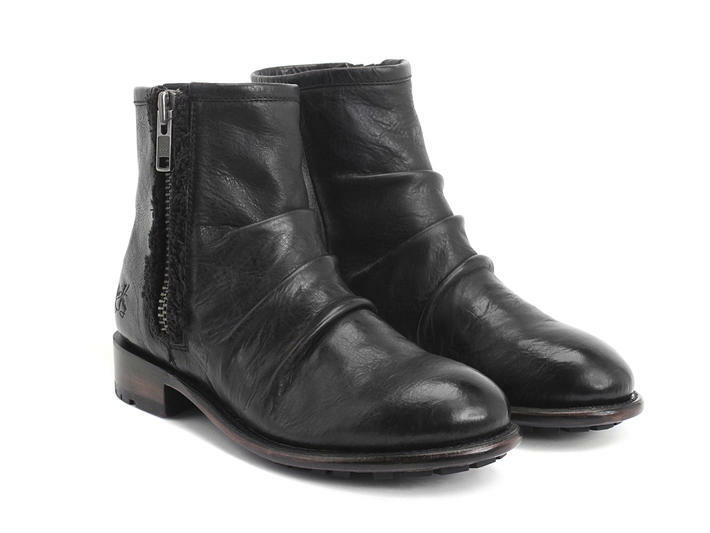 Our pick: Cortland from Steve Madden, $170. 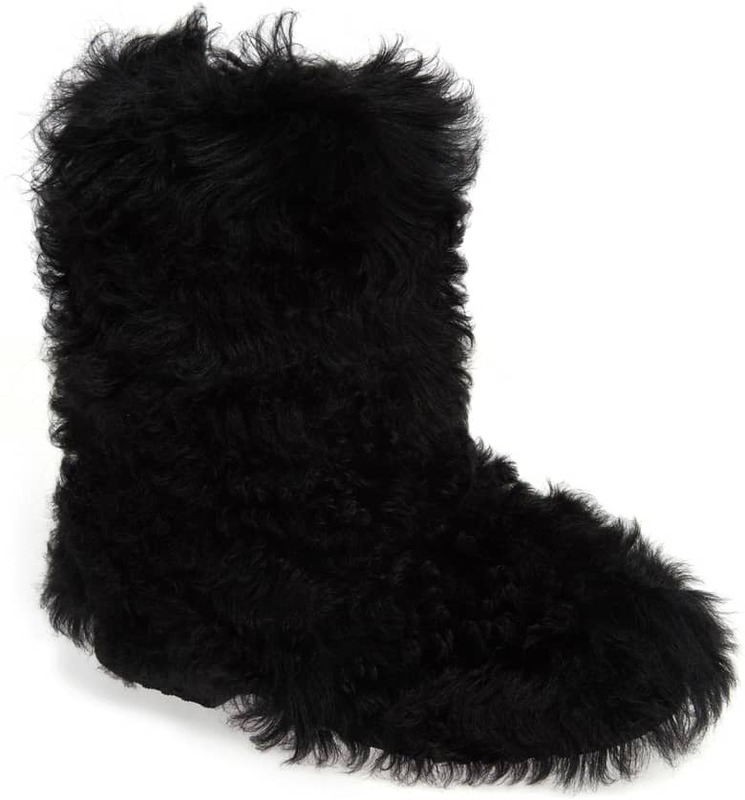 When to wear them: When you go as "hot bigfoot" for Halloween.